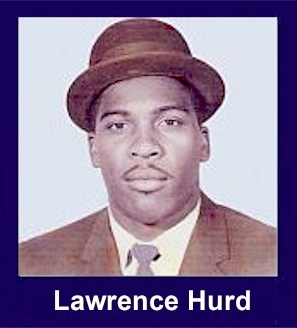 The 35th Infantry Regiment Association salutes our fallen brother, SP4 Lawrence Adams Hurd, who died in the service of his country on June 15th, 1967 in Quang Ngai Province, Vietnam. The cause of death was listed as Mine while accompanying APCs near LZ Liz. At the time of his death Lawrence was 27 years of age. He was from Margaret, Alabama. Lawrence is honored on the Vietnam Veterans Memorial at Panel 21E, Line 106. The decorations earned by SP4 Lawrence Adams Hurd include: the Combat Infantryman Badge, the Bronze Star with V, the Purple Heart, the National Defense Service Medal, the Vietnam Service Medal, the Vietnam Campaign Medal and the Vietnam Cross of Gallantry with Palm Unit Citation. For heroism in connection with military operations against an armed hostile force in the Republic of Vietnam. On 29 May 1967, Specialist Four Hurd distinguished himself while serving as a rifleman in the Reconnaissance Platoon of the 2/35th Infantry operating near Duc Pho. The Reconnaissance Platoon had gone to the assistance of a company in the battalion which was heavily engaged with a numerically superior force enemy force and had suffered several casualties. The platoon secured a landing zone and began to evacuate the wounded. Specialist Four Hurd, seeing that the medics would not be able to care for all the wounded quickly enough, volunteered to help. Repeatedly exposing himself to enemy small arms and mortar fire, he moved back and forth from the battle area carrying the injured men to the landing zone. His efforts were instrumental to the swift evacuation of the wounded back to the clearing station and contributed immeasurably to the success of the units mission. Specialist Four Hurds unselfish personal bravery and unstinting devotion to duty are in keeping with the highest traditions of the military service and reflect great credit on himself, his unit, and the United States Army.